Alexandra Popp, a 2009 victor with Duisburg and two-time champion at Wolfsburg, will become only the third player to win four UEFA women's club titles if the Wolves beat Lyon in Thursday's final in Reggio Emilia. Equally adept in an attacking role or in defence, the 25-year-old German international previews the final and highlights the pace of Élodie Thomis as a particular threat. UEFA.com: You arrived at the right moment in 2012 as things began to take off for Wolfsburg. How has it gone in your time there? Alex Popp: It's very obvious that we work together as a team. And it's not just the players by themselves, but the coaching staff too – it's all very professional. At the beginning, that was a bit unusual in women's football, you used to have to wash your own kit, but now when you come here you don't have to bring anything with you, because everything you need, like shirts, boots and everything you need for a shower is all ready in the dressing room. That makes a huge difference for the players to be able to prepare professionally for a match. UEFA.com: Is there anything from the 2013 decider that you can take into this final? Popp: I think that no matter what final it is, a final is always different and special. Back then, in Lisbon, it was insane, but I think now, in Milan or in Reggio Emilia, it's going to be totally different, the atmosphere will be different. We still remember how we beat Lyon back then, but our quality from that time was different from today's. Today our team have a lot more technical quality. And I would even say that we're maybe at the same level as Lyon now. But it's difficult to tell, as you don't really get to see Lyon during the season except in Champions League matches from time to time. So I think it's going to be an attractive final, but it's hard to tell which team is going to win. I think Lyon are the favourites, but of course we will do our best to stop them. UEFA.com: What are Lyon's strengths? Popp: Lyon are very technical. All their players are so good on the ball, and they're always very pleasing on the eye. In attack they have [Eugénie] Le Sommer and Ada Hegerberg, who is developing so well and turning into a very dangerous player. [Amandine] Henry and [Camille] Abily are both clinical in front of goal. They can also play great balls in behind the back four for players like [Élodie] Thomis, who is one of the quickest I've seen in women's football. I've had the pleasure of playing against her before and you always need to be alert. The best deterrent is to actually step on her toes! They have world-class players all over the pitch and that's what you expect from Lyon, since they've kept the squad together for years now. That's why they can play with each other blindly. They know the different runs all the players will make and can blindly play the ball into space. That makes it difficult to try to break them down for 90 minutes. 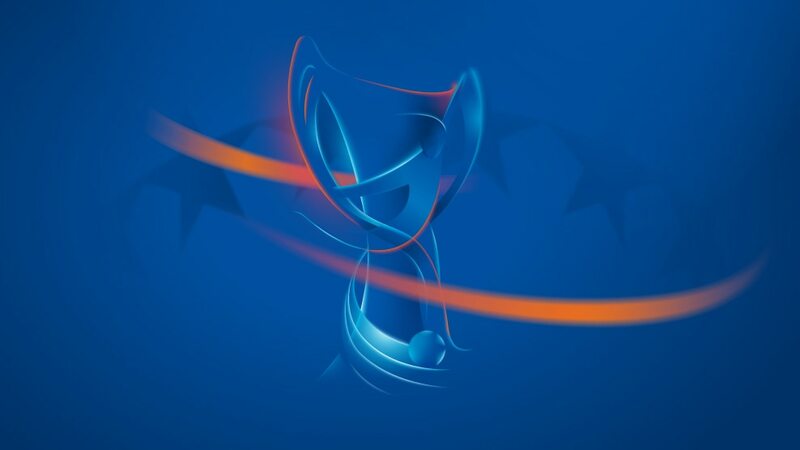 UEFA.com: What kind of final do you expect? Popp: That's a very good question. It's difficult to say. I can imagine that at the beginning it will be a tactical game, as we'll be eyeing each other up and seeing how the other reacts. But I can imagine that after a cagey 15-20 minutes, it will open up. It's difficult to assess because both teams want to win the trophy and know that they can, which will make it difficult. I think it'll be one of the best ever women's football matches. UEFA.com: What would a third title mean to you? Popp: It would definitely be the icing on the cake as we've been through a difficult season. We've had a few players missing, especially Caro Hansen who was always key for us and could decide a game on her own. Julia Simic has been in top form lately, while Noelle Maritz has always played an important role for us at the back. But in adversity, you build a stronger team spirit. We want to play for the injured players, the team, and be rewarded for how we've performed in the last few years, and we'll do everything to achieve that. UEFA.com: You're a player who gives everything on the pitch, whether it's duels, headers ... What do you enjoy the most? Popp: Winning! Leaving the pitch victorious is the best feeling you can have as a player. Whether it's a final, qualifying for the next round or getting three points in the league, the best feeling is being rewarded with three points, a place in the next round or a trophy afterwards. No one can take that from you.